All Hallows’ Eve is approaching, time to get dressed up and spooked out. What better way to get close to someone than when you’re petrified or drinking a novelty Halloween cocktail. Trick or treat you date to London’s best original Halloween nights, and to save you the research we’ve got the list right here. 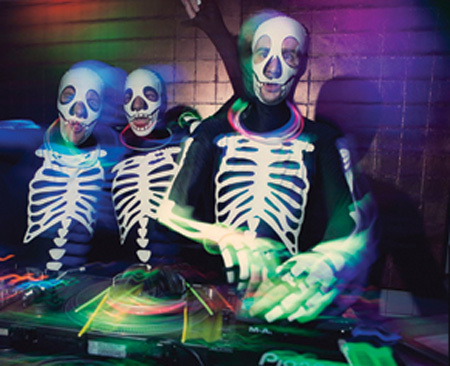 Read on for our top Halloween 2013 date ideas in London. This fabulous dining club is hosting a Halloween special on October 31st. 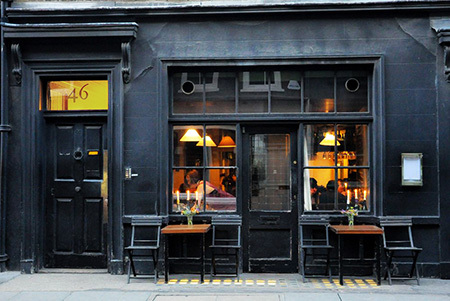 A four course dinner party in their home at Back in 5 Minutes on Brick Lane. The menu includes Bloody Mary & Oyster Shockers, Scallop & Black Pudding Hot Dogs with Pig’s Blood Ketchup, Butcher’s Floor Pork; collection of meaty horrors including Pork Belly, Pig’s Tongue, Ears, Cheek and Face. For dessert it’s Blood Orange & Black Pepper Panna Cotta. 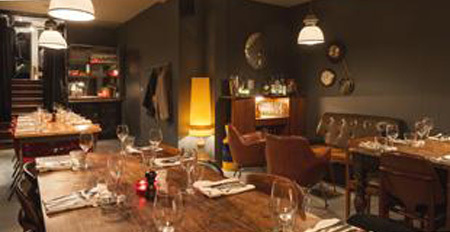 Slaughterhouse Supper is £36 and includes a £1 donation to Teenage Cancer Trust. 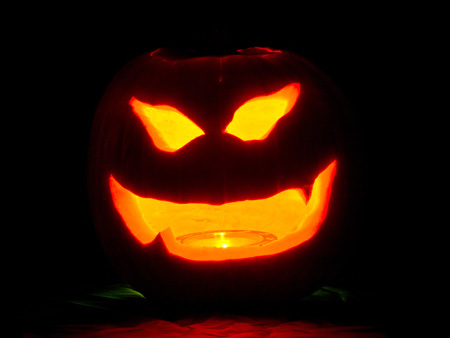 This Halloween The London Dungeon will be dressed in a blaze of orange as well as full to the brim with pumpkins. 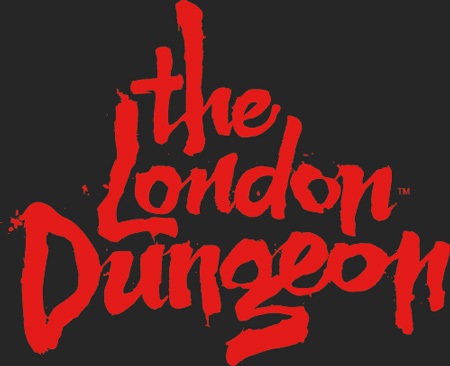 With extra surprises aplenty just for the season The London Dungeon will keep you tense and give you a good laugh. They have created some special surprises just for the Halloween and every guest gets a free treat. Booking early is advised as tickets tend to sell out. On 30 October The Royal College of Surgeons Hunterian Museum is having a special late view from 6-9pm. You can learn about the ‘anatomy of a hanging’ and discover how the dead ‘rising’ wasn’t always so uncommon in previous centuries. 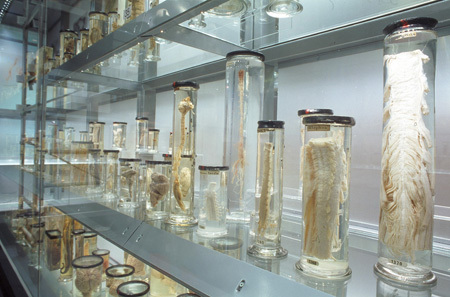 You will also have the opportunity to create your own anatomical souvenir in their ‘pickle a part’ workshop. You will need to bring your own jam jar with lid, all other materials will be provided. A bar will be available on the night and no booking is required for this fascinating and macabre museum. A perfect Halloween date. White Mischief hold an amazing Halloween party every year FACT. 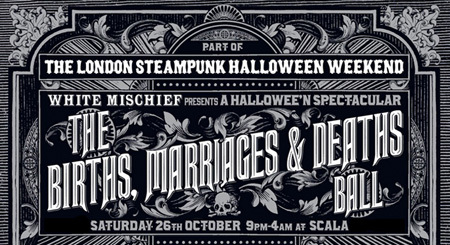 This year it is “The Births, Marriages, and Deaths Ball taking place at Scala, a spooky multi-room extravaganza featuring live music, cabaret, circus, storytelling and interactive theatre. The ball is part of the London Steampunk Halloween Weekend which is also holding events at Proud Camden and the Guildhall Art Gallery. 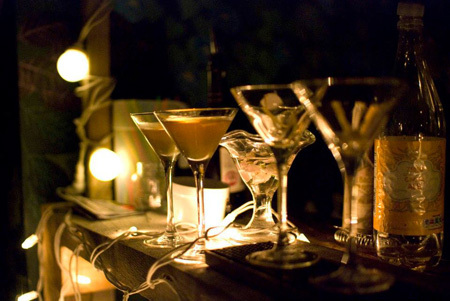 Sitting atop the Brunel Museum, The Midnight Apothecary is one of the best pop-up cocktail bars in London. This Halloween they are holding a ticket only event in their beautifully dressed rooftop garden. Sip mouth-watering cocktails around the firepit and enjoy the pumpkin clad surroundings. £5 ensures you a place at this very special event and what’s more… Free marshmallows! On 26 October the world’s undead will begin to descend on the capital, hordes of zombies are expected to appear in Chelsea. But fear not, because Pop Up Ping Pong has secured a first floor, protected shelter at 232 King’s Road, and set up a secure hideaway from the flesh-eaters, complete with its own decontamination entrance tunnel. Among their emergency supplies and neccessary barricades, BRGR will be on hand to supply enough food for 400 hungry dwellers with Cronuts, sliders and crack pie. Zombie-protective clothing is encouraged, although far from compulsory. 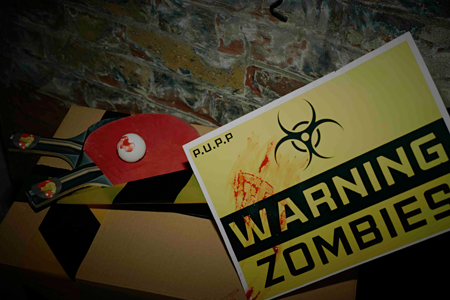 With a few surprises in store, you can expect a unique immersive experience as PUPP look to defend London from the undead. Doors open at 6.30pm and the party goes on until 1am. Tickets are a tenner. For the Afternoon Tea lovers, London Hilton on Park Lane is hosting a Halloween Afternoon Tea in Podium Restaurant. 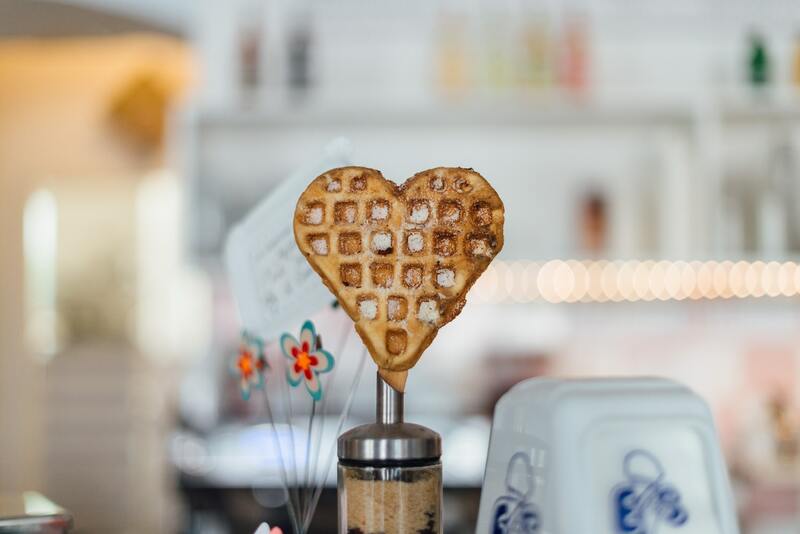 From October 26th – November 5th, you can feast on a selection of scary sandwiches, creepy cupcakes, chilling chocolate and supernatural scones. The Halloween Afternoon Tea costs £32.50 per person or £39.50 with Champagne. On Saturday 26th October Loft Studios near Willesden Junction will host Winterwell’s Halloween bash. An immersive New Orleans Voodoo Ceremony with plenty of witchcraft and wizardry. The line-up features the mega Norman Jay, The Correspondents, Count Sizzle and many more, tipped to be one of the best parties of the season. Tickets are £25 and will sell out.